Inagaki was born and raised in Sendai, the capital of Miyagi Prefecture, and graduated from Miyagi Prefectural Technical High School. One of his earliest musical influences was Stevie Wonder. While a student in middle school, he joined a local band called Faces as a vocalist and drummer. Later, he also performed in bands that entertained United States military personnel stationed in Yokosuka and Tachikawa. Beginning with his commercial debut single ” Ame no riguretto” (Rainy Regretト) in 1982, Inagaki released a series of popular hits. Inagaki’s music became especially well known throughout the 1980s and 1990s. His songs have appeared on several drama programs and numerous commercial advertisements on Japanese television. 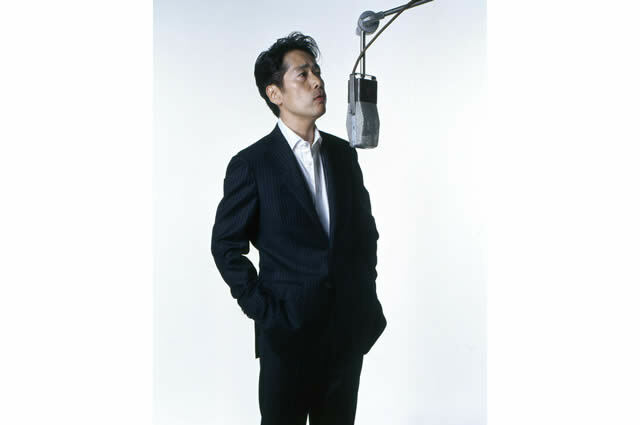 His 1992 ballad ” Kurisumasu kyaroru no koro ni wa” (When The Christmas Carols Play) was featured on the TBS drama series Homework, and remains one of the most popular holiday songs in Japan. As of 2010, Inagaki continues to tour in Japan, and will perform in Tokyo, Osaka, and Nagoya in June 2010. In a rare performance abroad, he held a private concert in San Francisco sponsored by the Japanese Chamber of Commerce of Northern California on January 11, 2009. Inagaki’s first wife of more than 30 years died in 2006. He remarried in October 2007 to a woman 10 years his junior, and hosted a wedding reception in Tokyo for family and close friends in March 2008.